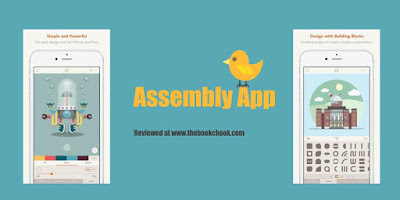 Assembly is an iPad/iPhone app that we can use to create an image. I think it’s a great app to use in an educational context because it means kids are making their own images rather than navigating the minefield of finding an image online, and ensuring they have permission to use it. You can try Assembly Pro for free for 7-days with a free trial. After the free trial you will be automatically renewed to the weekly subscription which you can cancel at any time. The paid subscription costs $2.99 USD per week, $4.99 per month or $29.99 USD per year. I LOVE Assembly. It offers a vast number of editable shapes that we can build into an image. You can choose the colour of the shapes, group and ungroup them, duplicate them, rotate them, change size, send them backwards and forwards and add shadows and outlines. They can be saved to your library and/or exported as transparent png, jpg and svg files. Assembly took me some time to work out. I am not a digital native so it seems that everything takes me some time to work out! But because I can’t draw, I have found it immensely satisfying to create images with this app. For example I used it for my main Book Week images, and for my free poster, What to Read Next, that you can read about here. I started with the free version of Assembly, but liked it so much, I paid for the full version. 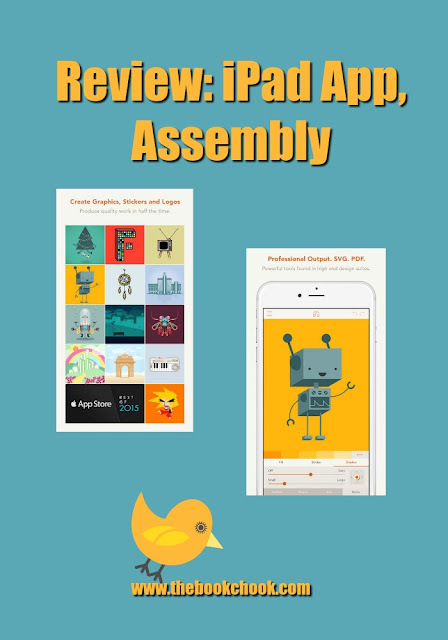 I think Assembly makes an excellent choice for anyone who wants to create their own clipart, logo, icon, sticker or other graphic. Be sure to check out how Cathy Hunt's Grade 3 and 4 kids used Assembly to create their own emoji. You can get more of an idea of the app in developer, Pixite’s, own video below. Check out my other iPad App Reviews on Pinterest, and find more apps and articles via my Listly page. I'll be adding this review to my list of Ways Kids Can Create an Image on an iPad.